Completely remodeled home with all the amenities you could ask for in a vacation rental! 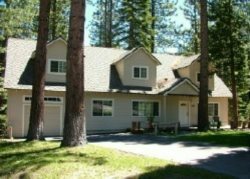 Enjoy the convenient location close to downtown, casinos, Heavenly Ski Resort and beaches. Breathtaking views of the lake awaits you from the multiple decks this house has to offer.